More and more physicians are embracing concierge medicine, and Philadelphia doctors are no different. Hear from several of our Philadelphia doctors below with amazing stories about how this model has affected the way they practice medicine. The journey to concierge medicine is a personal one. Some doctors come to it out of frustration with the current healthcare landscape. Others because they have friends and colleagues who've gone before them and who've shared their positive experiences. Some choose it because they want to return to medicine that's truly "personal," as it was in the old days. Some see the many benefits people receive from concierge healthcare. For others, it's a combination of all of the above. What's the secret sauce to excellent concierge healthcare? Serving the patient with the gift of TIME. See, in a typical healthcare practice, the goal is to maximize time in order to serve the business, the hospital, the insurance company. 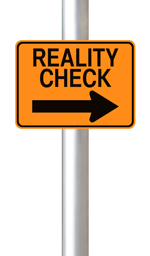 Medical Concierge & "Royal Pains" - What's Real & What's Fiction? Confession: we're fans of Royal Pains. It's funny. It's smart. It's touching. But it's also a TV show, which means you can't necessarily trust it.